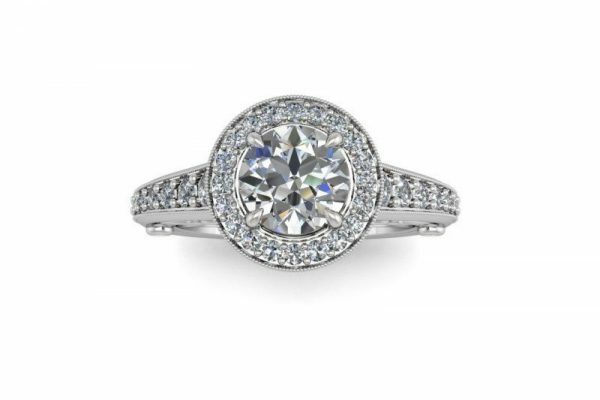 This platinum Ira round halo engagement ring is a luxurious classic. 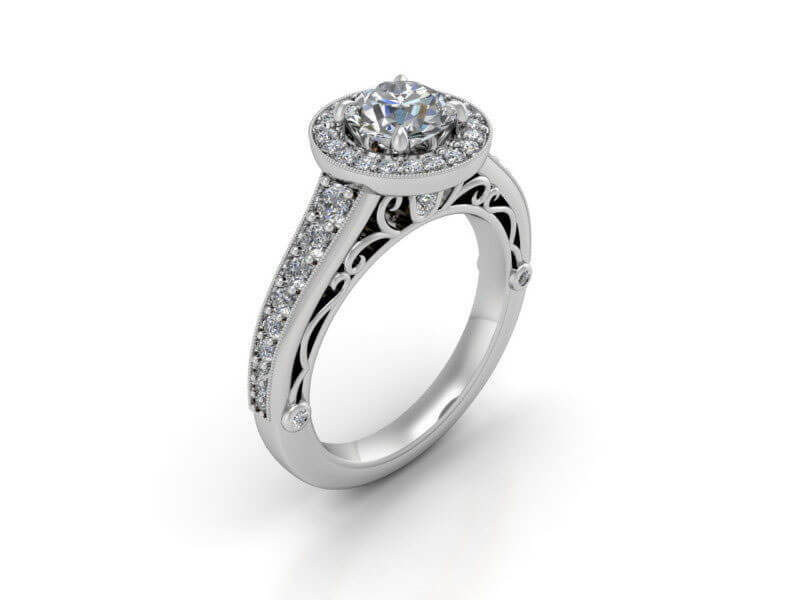 It boasts a beautiful GIA certified solitaire encircled by a brilliant halo of diamonds and graduating side stones for showstopping sparkle. 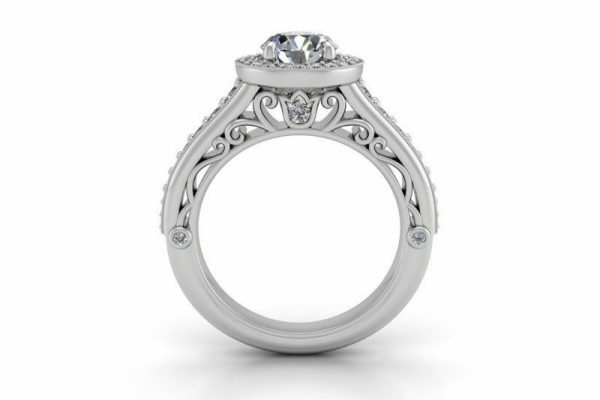 This designer engagement ring is perfect for brides who love vintage designs with a modern touch. 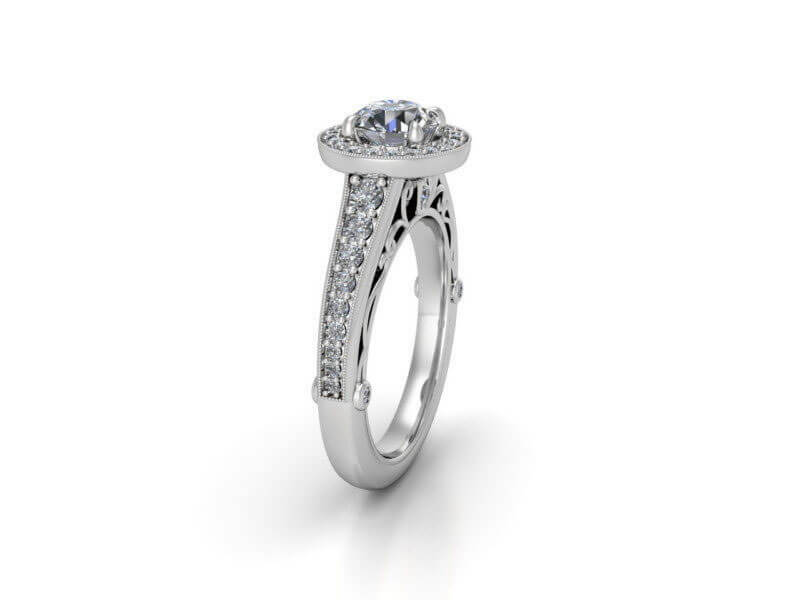 Each ring features a GIA certified diamond with a quality grading report. 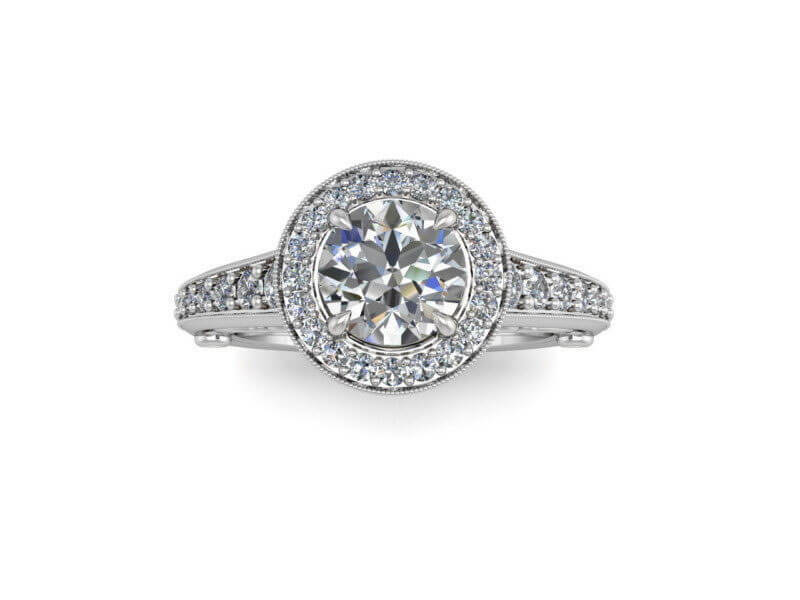 A halo of brilliant diamonds surrounds the main stone. 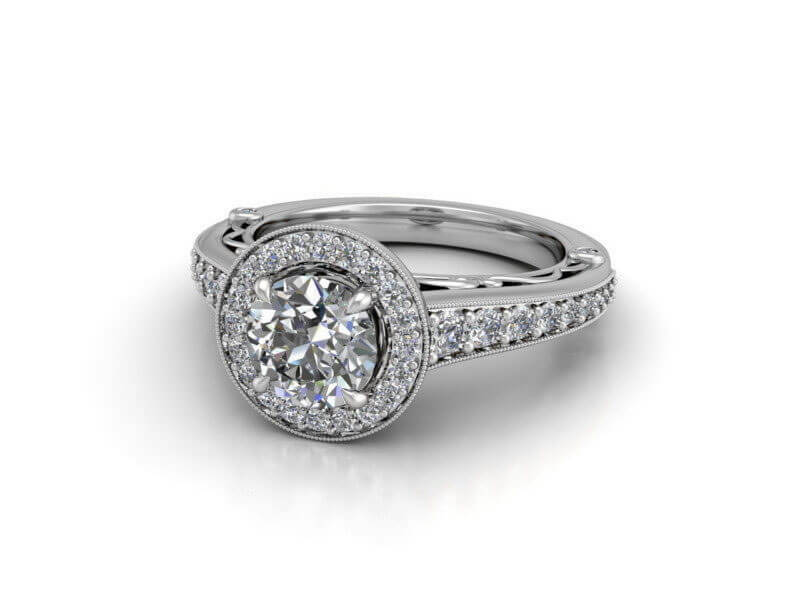 Along the band, superior quality side stones give this ring a spectacular sparkling finish. 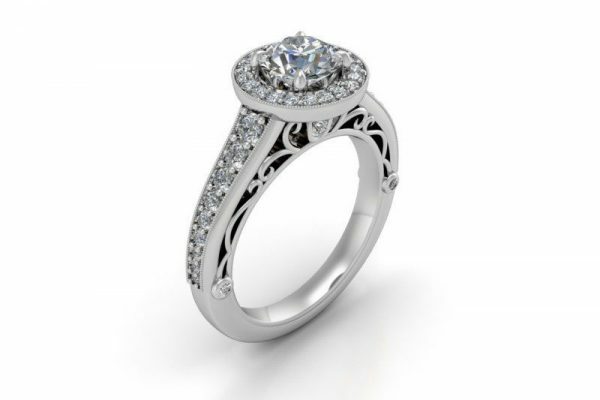 With a selection of carat weights from 0.50CT to 2.00CT and a choice of diamond grades ranging in colour from D to H and clarity from VS to SI, you’ll be able to choose the perfect Ira ring to suit your style and budget. 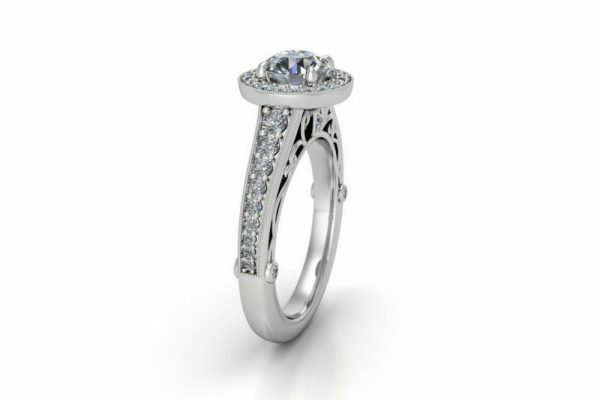 Can be custom made in your choice of platinum or a combination of 18K white, yellow or rose gold. 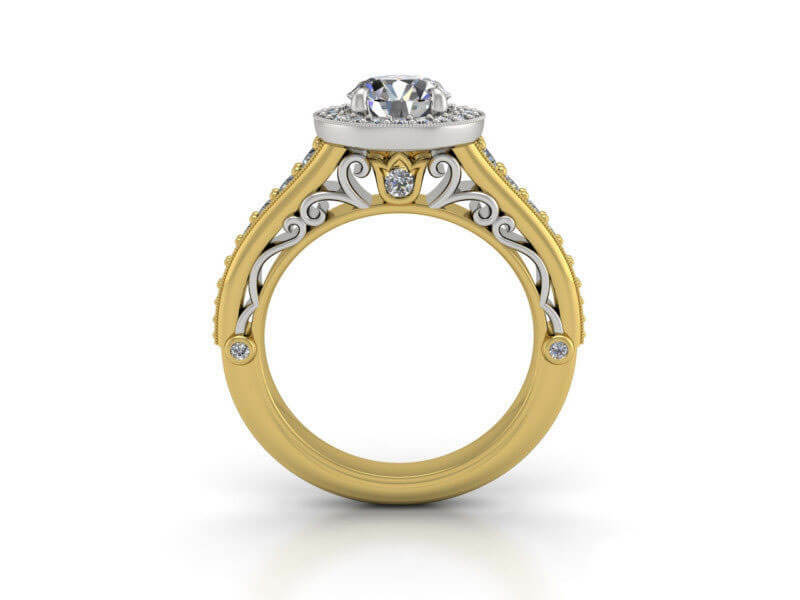 Weight side stones: 0.45ct aprox.